The diplomat is blacklisted until 2023. 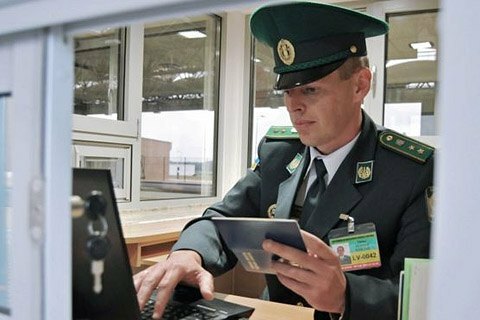 Employees of the State Border Service have denied a Russian diplomat entry to Ukraine at the Kharkiv passenger railway station, its press service has said. He was travelling on the Moscow-Kharkiv train. "While checking the documents, border guards learnt that one of the train passengers is the second secretary of the Russian consulate-general in Kharkiv," it said. The diplomat is denied entry until 2023. He was sent back to Russia. The border service did not name him. The website of the consulate does not say who holds the post either. Earlier, Ukrainian Infrastructure Minister Volodymyr Omelyan said work was underway to prepare a legal framework for cancelling passenger railway services to Russia, to be discussed by the government or the National Security and Defence Council.